Myra Nawabi, a female refugee from a royal family in Afghanistan shares her story of fleeing her country to America as a young child in search of a brighter, bigger future only to find herself quitting on her dream of becoming an astronaut due to negative influences and sexist comments before eventually creating a successful career at Lockheed Martin Space Systems where she is now Senior Project Engineer & Program Manager for Advanced Technology Center. She is also Founder of the largest and most active LeanIn Circle in the US (Palo Alto). She credits much of her success due to her experience with a male ally or mentor. In Pt. 3 of Personal Stories of Inequity, the panel continues as Joe Vasquez, Co-Director at Runway Incubator shares his stories and lessons of struggle with microaggressions as a hearing impaired Latino in the mainstream and corporate world. He discusses the importance of the variety of accessible gateways of expression, including art, and how they allowed him to fully reveal his perspectives to others. Through his experiences, Joe has developed a passion for helping entrepreneurs and corporations to innovate more support, love, and value in the workplace. Despite his hearing impairment, Joe has also learned how to be a male ally. The #MeToo movement and stories has inspired people to share stories of and has brought new awareness to just how rampant sexual assault is. Research shows that hearing how someone is impacted by sensitive issues or something we aren’t aware of or understand is powerful in helping those seemingly unaffected or those who aren’t aware of the issues at hand become aware, compassionate, empathetic and/or use their privilege to help make positive change. It is in this spirit that we invited 4 individuals to share their stories of inequity and/or lack of inclusion at the Better Man Conference last month. Advancing Women Of Color: Can You Do More? In Advancing Women Of Color, Can You Do More? Rayona Sharpnack, Founder of The Institute For Women's Leadership indicates that for women of color it is "10 x harder" to advance in the corporate world than it is for white women. 33% of the officers at Genentech are women. Julius Prior, Head of Innovation, Diversity & Inclusion at Genentech addresses a number of topics in relation to advancing women of color including what the benefits of advancing women of color are, plans for advancing women of color, and what challenges they or other companies might face in advancing women of color. As you watch the video or read the transcript below, we invite you to consider if you or your company should be doing more to help advance women of color. This week in Pt. 3 of "Allies In Action", Rachana asks our male allies and leaders in the business world about how having a natural relationship with a woman in their life has reinforced and strengthened their positions as allies and at what degree they open up their personal experiences to their fellow CEO's, co-workers or peers. They discuss bringing heart and stories in to male ally efforts as well. Today's post concludes the "Allies In Action" that took place at the Better Man Conference 2017 - Engaging Men As Allies where Rachana Bhide of Bloomberg and Founder of The Corner Of The Court Project was joined by Jon Murphy, Sr. Dir. of Sales Operations at Blue Shield and Co-Founder of the Manning Up for Gender Inclusion Program along with Jim Wunderman, President and CEO of the Bay Area Council, a CEO lead public policy and advocacy. Last week when I introduced Part 2 of our Allies In Action blog series, I promised I would share tips on how men who want to be allies to gender equality can move through fear that might be holding them back. Today, I follow through with that promise and we'll share Part 3 of Allies In Action on this blog next week. As men in the time of the #MeToo and #TimesUp movements, we have a choice: we can respond by standing up and speaking up, we can react or we can recoil. For women reading this, I want to start by acknowledging your efforts and the courage it takes to speak up, both as a group and as individuals. Your actions have put the light on what us guys need to do. This blog entry is directed towards the men. We have much work to do in order to be formidable partners! And we need the women’s support. Women are calling out the bad behavior of men which is both unfortunate and necessary. This current “call out” phase has many men reluctant to say or do anything for fear of potential unintended consequences. It is these men that I hope are the good majority, that I respectfully both invite and challenge to turn the fear into action by putting yourself on the path of being an ally. If you’re unsure about how to do this, a conscious partnership of the head and heart will allow you to acknowledge the feeling (in this case, fear) and consciously choose to “write a new story” about how you will act and where you will act from. Putting yourself on the path of being an ally and moving through fear requires you to both acknowledge and own your biases and their impact on others. This means that you are human. It doesn't mean is that there is something wrong with you. Bringing awareness to our biases, behaviors and their impacts, intended or not, allows us to make different choices about how we act. We men have the opportunity to step into healthy masculine behaviors, not just for ourselves, but for the young men who will follow us. A vital component is emotional literacy. Being an ally requires men to experience our emotions instead of reacting or recoiling away from them. An important step for allies is listening from the heart, with empathy and compassion, in order to hear the stories and challenges that women experience. It also requires us to take an interest in and learn about what is emotionally true for us. Men who want to be allies will need courage to confront and move through our fears. The latin root of courage is Cor, which means heart. We experience our emotions with our heart. Experiencing fear and acknowledging it without recoiling from it is the trick. Instead of remaining at a safe distance from experiencing the emotions that connect to the “old stories” in our heads about what we fear might happen, we can make the choice to access our courage and put ourselves on the path of being an ally. Turn your fear into positive action. Why would you do this? I can’t answer that for you although Dr. Kimmel shares the benefits to men of engaging in gender equality in a prior blog found here. I can share that for me, it’s how I can look myself in the mirror and be proud of my choices to act. I can also share that I have powerful relationships with women who support me and partner with me. I can also find solace in knowing that I am modeling the kind of behavior for the men and women in my life that contributes to everyone feeling included, including me! The alternative to stay silent, on the sidelines and be painted with the brush that says we are all the same is always an option, but you don’t have to choose it. I invite you to stand up and speak up, it's time. Last week we began sharing a transcript and video of a series entitled, "Allies In Action". This week in part 2, a recent Catalyst study on how to engage men shows 74% of men interviewed having real fears of getting involved in gender equality. In part 2 of "Allies in Action", Rachana Bhide of Bloomberg and Founder of The Corner Of The Court Project cites the top 3 fears from that study and asks corporate male leader allies if they should be taken in to account when recruiting male allies. But first she asks them to comment on their own experience as related to the question, "What are some of the things that men then do as allies to carry forward so it's not a once-and-done?" This discussion took place at the Better Man Conference 2017 - Engaging Men As Allies where Rachana was joined by John Murphy, Sr. Dir. of Sales Operations at Blue Shield and Co-Founder of the Manning Up for Gender Inclusion Program along with Jim Wunderman, President and CEO of the Bay Area Council, a CEO lead public policy and advocacy organization. In this week's blog, Sr. Dir. of Sales Operations, John Murphy at Blue Shield of California and Jim Wunderman, President and CEO of the Bay Area Council, a CEO lead public policy and advocacy organization begin sharing how they advance gender equality at work. Jim was also recently named one of the top 100 movers and shakers in California politics, Co-Founder of the Manning Up for Gender Inclusion Program. This week Dr. David Smith, Naval Academy Professor and author discusses Mentoring Women: How, When and Where in Pt. 4 of Allies and Mentors: How and Why You Should Develop an Inclusive Approach. He tells stories of both failed and successful attempts of men offering to mentor women plus gives tips on how, when and where to mentor women. This week in Pt. 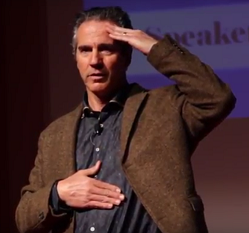 3 of Allies and Mentors: How and Why You Should Develop an Inclusive Approach, we continue with Naval Academy Professor and author, Dr. David Smith dives into what women want when it comes to a male mentor. 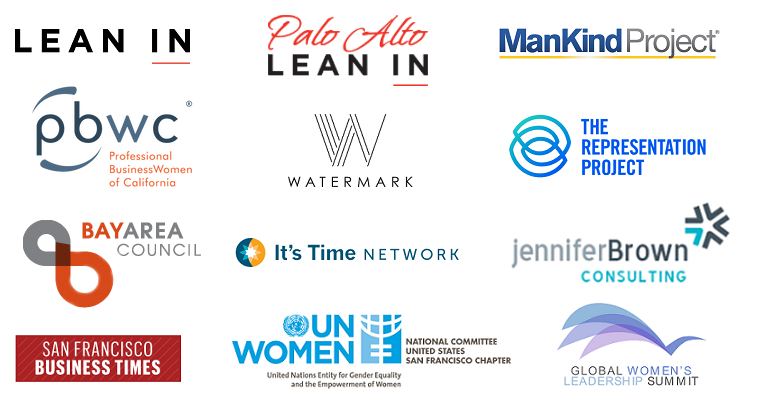 Strong mentorships and sponsorships are particularly instrumental in the retention and promotion of women and traditionally marginalized groups. Evidence shows that women face more barriers in securing mentors or sponsors than men or may reap a narrower range of career and psychological benefits when they have a mentor or a sponsor. When men demonstrate awareness, commitment and gender humility, they start help to create a more inclusive workplace. To tell us more about this, the Associate Professor of Sociology at the U.S. Naval Academy and author of Athena Rising, How and Why Men Should Mentor Women, Dr. David Smith. In Pt. 7 Of Problems, Opportunities And Solutions For Gender Equality In Corporate Culture which took place at the Better Man Conference 2017, we wrap up our panel discussion with corporate leaders entitled, The Inclusion Roadmap: Where to Start Engaging Men in the Workplace. While answering questions from the audience, the leaders articulate a common thread that suggests everyone has gifts to bring to the table and by creating a sense of belonging, creativity and innovation, a positive impact on the bottom line is likely. The corporate panel includes Dr. Ronald Copeland from Kaiser Permanente, MD SVP and Chief Diversity Officer of National Diversity Inclusions, Strategy and Policy, Lesley Slaton Brown from HP Inc., Chief Diversity Officer, Nadia Chargualaf, Telstra VP of HR for U.S. Operations, Mike Dillon, Chief Diversity Officer at PwC and his hosted by Dale Thomas Vaughn, Co Founder of Inclusionary Leadership Group (formally known as Gender Leadership Group). "Do you think a Chief Diversity Officer that is just a middle aged white guy, would he make it as a Chief Diversity Officer?" "How are your employees pushing you as companies to take a stand on some of these social issues?" Answers to the second question above indicate a theme of receptivity by upper management in helping to advance gender equality in corporate culture. I'd go as far as to say it's key in unlocking more gender equality in the workplace. For the full context and answers to the questions above, read below or watch the video as Co Founder of Inclusionary Leadership Group, Dale Thomas Vaughn, continues to moderate the panel featuring corporate leaders, Dr. Ronald Copeland from Kaiser Permanente, MD SVP and Chief Diversity Officer of National Diversity Inclusions, Strategy and Policy, Lesley Slaton Brown from HP Inc., Chief Diversity Officer, Nadia Chargualaf, Telstra VP of HR for U.S. Operations and Mike Dillon, Chief Diversity Officer at PwC. Tools, tactics, and team dynamics continue to be shared this week as we explore the question, "If you were to speak to a room full of leaders, and potential leaders or the next generation of leaders, what would you tell them to go and start doing today? What is the thing you would get deeper knowledge about? What is the thing you would invest your time in? If you were starting today as a leader in this space, where would you put yourself?" Co Founder of Inclusionary Leadership Group, Dale Thomas Vaughn, host of The Inclusion Roadmap: Where to Start Engaging Men in the Workplace - Pt. 5 of Problem, Opportunities And Solutions For Gender Equality In Corporate Culture at the Better Man Conference 2017 asks the question above of corporate leaders, Dr. Ronald Copeland from Kaiser Permanente, MD SVP and Chief Diversity Officer of National Diversity Inclusions, Strategy and Policy, Lesley Slaton Brown from HP Inc., Chief Diversity Officer, Nadia Chargualaf, Telstra VP of HR for U.S. Operations and Mike Dillon, Chief Diversity Officer at PwC. Tools, tactics, and team dynamics for the rubber to meet the road are discussed this week as the panel discussion, The Inclusion Roadmap: Where to Start Engaging Men in the Workplace.-Pt. 4 of Problem, Opportunities And Solutions For Gender Equality In Corporate Culture continues with Dr. Ronald Copeland from Kaiser Permanente, MD Senior Vice President and Chief Diversity Officer of National Diversity Inclusions, Strategy and Policy, Lesley Slaton Brown from HP Inc., Chief Diversity Officer, Nadia Chargualaf, Telstra Vice President of Human Resources for U.S. Operations. Mike Dillon from PwC, Chief Diversity Officer and hosted by Co Founder of Inclusionary Leadership Group, Dale Thomas Vaughn. The business case, a top down approach, the utilization of metrics and more are discussed. We have been sharing a series that includes Dale Thomas Vaughn, Co Founder of Inclusionary Leadership Group describing gender equality problems, opportunities, and solutions as related to corporate culture. In our last blog, he began a panel discussion entitled The Inclusion Roadmap: Where to Start Engaging Men in the Workplace. He welcomed Dr. Ronald Copeland from Kaiser Permanente, MD Senior Vice President and Chief Diversity Officer of National Diversity Inclusions, Strategy and Policy. This week continues with Lesley Slaton Brown from HP Inc., Chief Diversity Officer (see thumbnail picture on video to the right), Nadia Chargualaf, Telstra Vice President of Human Resources for U.S. Operations and Mike Dillon from PwC, Chief Diversity Officer as they share their experiences and work as allies in the inclusionary leadership movement. The series will then continue next week with the panel discussing the tools, tactics, and teams that are moving forward within their companies and what's working for them. In last week's blog, Dale Thomas Vaughn, Co Founder of Gender Leadership Group described gender equality problems and opportunities as related to corporate culture. This week he covers the solutions and then begins a panel discussion entitled The Inclusion Roadmap: Where to Start Engaging Men in the Workplace. He welcomes Dr. Ronald Copeland from Kaiser Permanente, MD Senior Vice President and Chief Diversity Officer of National Diversity Inclusions, Strategy and Policy, and Lesley Slaton Brown from HP Inc., Chief Diversity Officer. The series then continues with Nadia Chargulaf, Telstra Vice President of Human Resources for U.S. Operations and Mike Dillon from PwC, who’s the Chief Diversity Officer.